method and arrive at a fresh evaluation of his place in the history of linguistic thought. 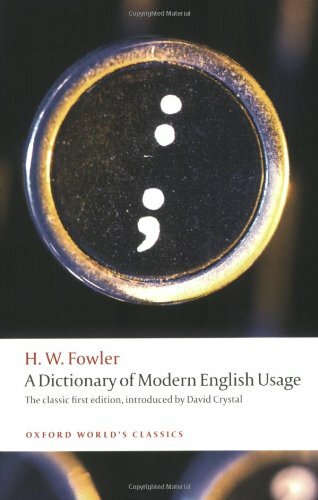 With a wealth of entertaining examples he looks at Fowler's stated principles and the tensions between his prescriptive and descriptive temperaments. He shows that the Dictionary does a great more than make normative recommendations and expressprivate opinion. In addition he offers a modern perspective on some 300 entries, in which he shows how English has changed since the 1920s. David Crystalis a writer, lecturer, and broadcaster on language and linguistics.